Every city in the world has its own unique vibe and San Juan is no different. The city has many historical sites and festivities that contribute to its aura, making it a preferred tourist destination. Visitors come here not only for the stunning views, but also to soak up in the rich culture; this combination makes San Juan a top travel destination. San Juan is Puerto Rico’s capital and is located in the northern coast, making it the country’s most important seaport. The soft sand on its beaches makes it the perfect vacation spot for relaxing. Casa Blanca is a museum house that was built in 1521 as a residence for Juan Ponce de Leon. The house was occupied by Juan’s descendants until the mid-18th century. This building was declared a historical building in the year 1967. Stepping into this house feels like you’re stepping back in time. If you’re a history lover, you will fall in love with the architecture, the paintings, historic antiques, and artifacts from the 16th and 17th centuries. The Casa Blanca is just a few blocks from El Morro and overlooks San Juan bay. Views from this little museum’s windows are breathtaking. Outside there are lush gardens and various water features. Visiting this unique jungle-like setting of the subtropical mountainous rainforest has a calming effect. It’s here that the trade winds meet the island, which results in rain. The forest lies fully inside the El Yunque National Forest Reserve. This rainforest is situated on Sierra de Luquillo’s slopes and is the largest piece of public land in the country as it covers 28,000 acres. 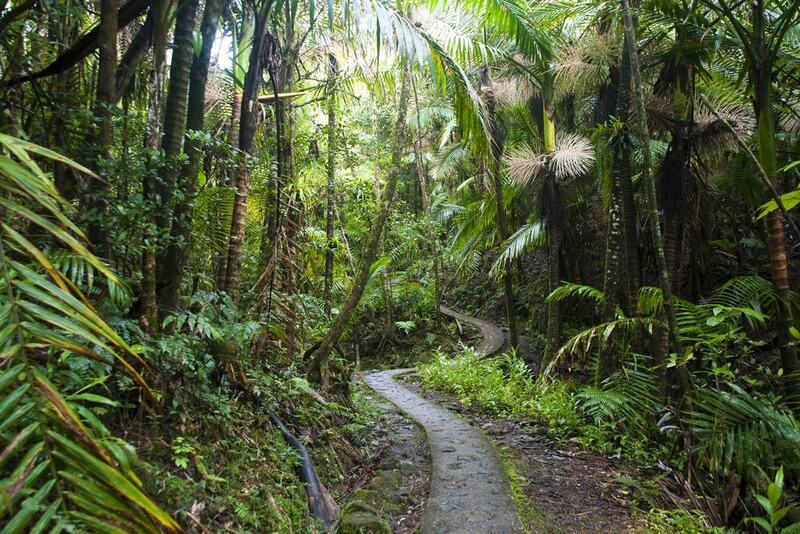 The El Yunque forest is 20 minutes away from San Juan at the northeastern end of Puerto Rico. To get to the actual rainforest, you have to drive or hike all the way to the top to get a view of the dwarf forest. 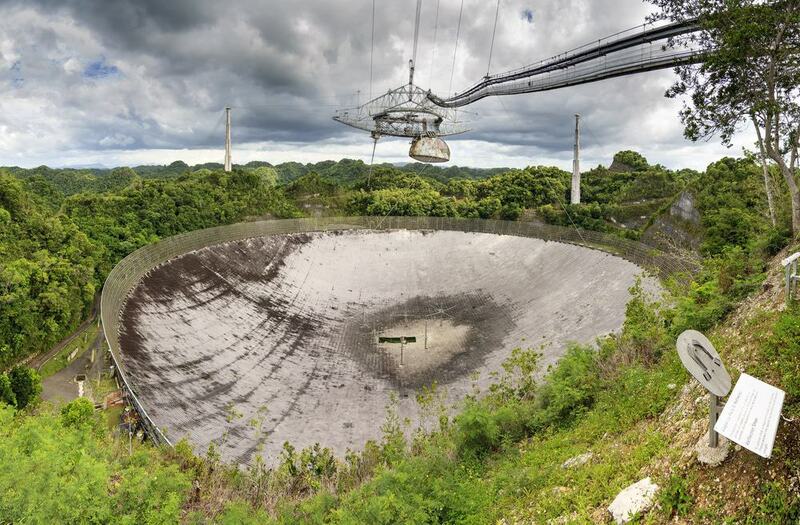 The Arecibo Observatory is a monster-sized concrete bowl with a diameter of 305 meters. Visitors, including scientists, come from all corners of the earth to explore the wonders of the universe. This enormous radio telescope is the largest in the world. It allows people to listen to sounds of the universe. Scientists use it to study radio emissions from distant galaxies, stars, and planets. Arecibo, also known as La Villa del Capitan, is approximately 80 km away from San Juan. The views from the observatory deck are amazing. The beautifully constructed El Arsenal was built in the 19th century by the Spanish military and is located in the Old San Juan. The strategic location was chosen because of its remoteness and its connection to the mainland by bridges. The El Arsenal is grey in color and still looks spectacular, just as it did after its construction. These days, El Arsenal functions as an art gallery that displays decorative pieces created by the locals. There are 3 galleries within the building. 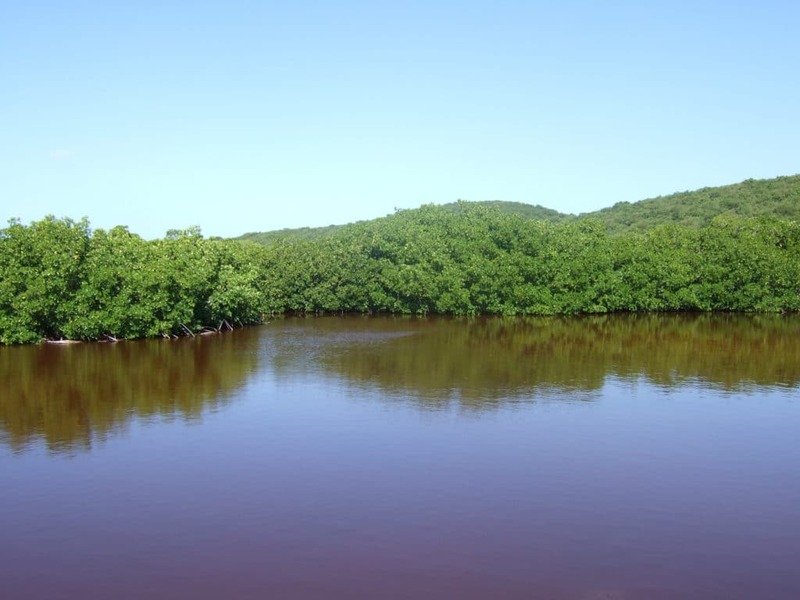 Most of the mangrove forests in Puerto Rico are situated along the island’s coastline. The trees flank the ocean’s sandy beaches, which can be explored on foot. This scenic forest has many places where you can pose for photos. The beaches become more secluded as you go further along the boardwalk between the forest and the coastline. There are many rivers and lagoons within the forest which are home to reptiles, birds, and mammals alike. This dense mangrove forest is just a 20-minute drive away from San Juan. There are 3 bioluminescent bays in the whole of Puerto Rico. 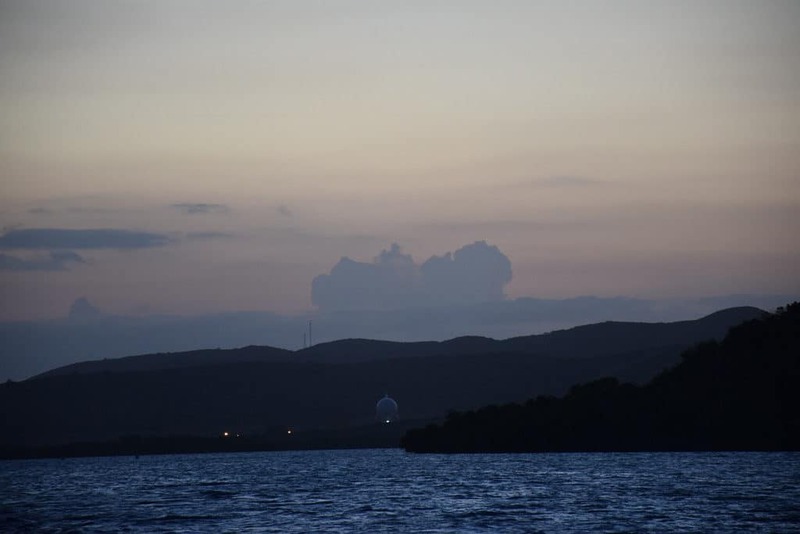 These are Mosquito Bay, La Parguera, and La Laguna Grande. A bio bay is a water body that contains micro-organisms that glow in the dark after they’re agitated. As you visit the bioluminescent bays, prepare yourself for the experience of a lifetime. Most people get here and think that they’re hallucinating, while some think that what they’re seeing is some kind of special effect. This rare phenomenon is experienced during the night and gets brighter when there’s no moon. The best place to appreciate this unique phenomenon is from the Laguna Grande. At the moment, however, the bay does not sparkle as it should due to the large influx of seaweed. Cueva Ventana translates to “Window Cave.” The incredible Cueva Ventana is a large cave that is located in the northwest of San Jose, on top of a limestone cliff. This causes the floor of the cave to be slippery. 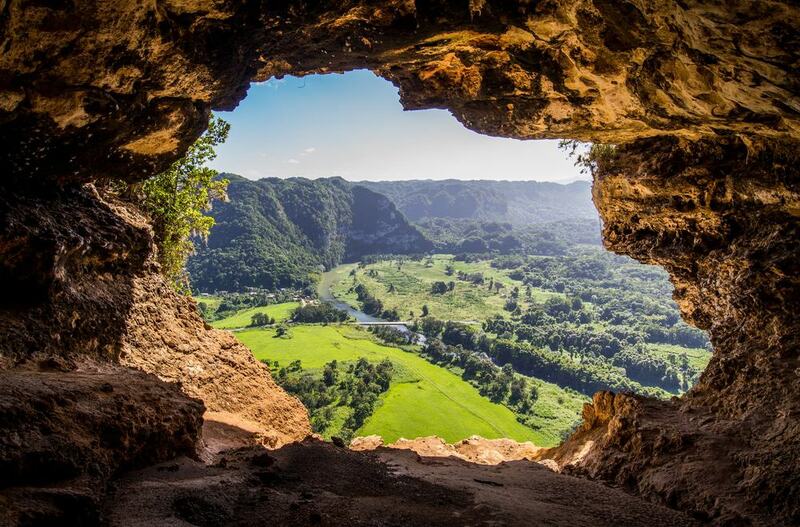 From the cave’s window, you are able to get a picturesque view of the Rio Grande de Arecibo valley. All the lands surrounding the cave, including the cave itself, are privately owned. 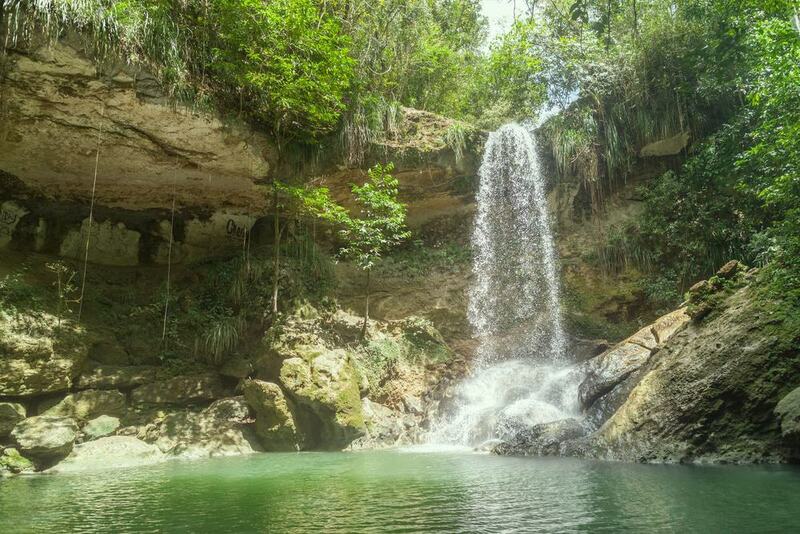 If you’re someone who likes to discover places about which little is known, then Cueva Ventana is just the right place for you. As you pack your bag, don’t forget to bring a flashlight. You will need one to hike to and through the subterranean world of this underground cave. Considering the bats living there, the cave does not have a foul smell. This is because the cave is open on both ends so a lot of wind goes through. 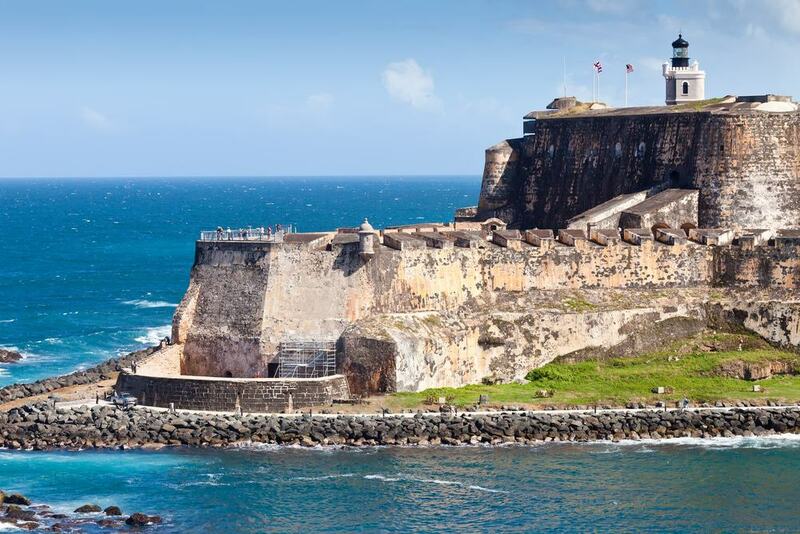 The full name of this fort is El Castillo de San Felipe del Morro. It was built in 1539 to protect San Juan from enemies coming from the sea. However, the layout was improved by two engineers, Juan de Tejada and Juan Bautista, in 1587. Since 1983, El Morro has been listed a UNESCO World Heritage Site. 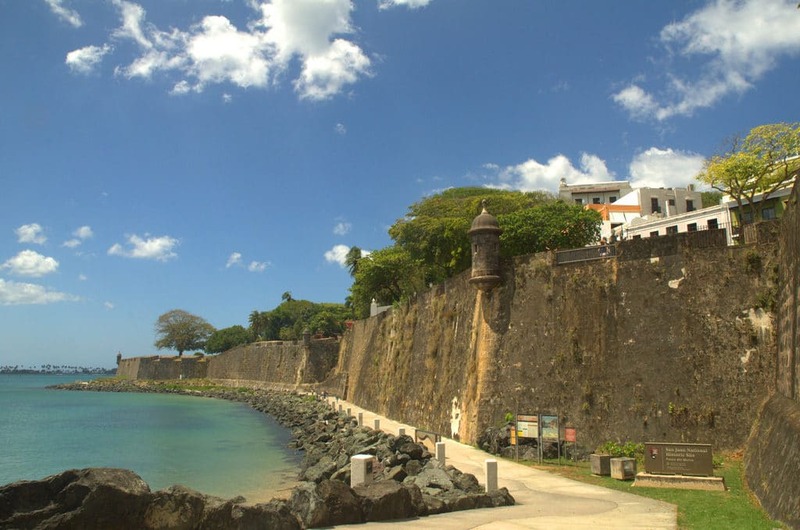 As a first time visitor to San Juan, you ought to visit this impressive fortress to experience first­hand the power that this bastion of defence, perched on the northwestern end of San Juan, commanded. The fort was also used in the Second World War by the US to track the movement of the German submarines. 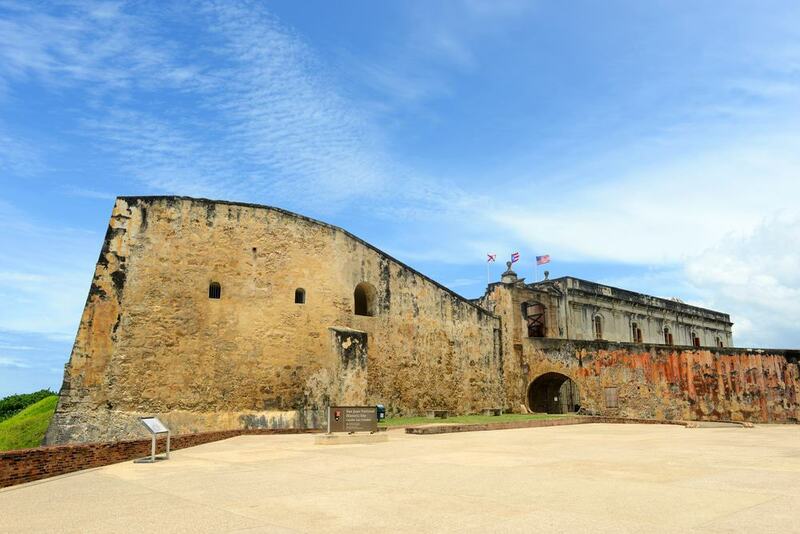 This Castillo was built to protect El Morro and San Juan from land­based attacks. This fort was designed by the Irish Engineer Thomas O’Daly, and constructed by the Spanish between 1634 and 1790. Today, the fort is part of the National Historic Site of San Juan. This fort basically surrounded the entire city and covered over 27 acres of land. The main entrance to the city was sealed by gates. The elegant courtyard is commonly used as a wedding venue, thanks to the dreamy fairytale feel. This bleached-white cemetery dates back to the 19th century and is strategically located between the El Morro Fort and the Castillo San Cristobal. 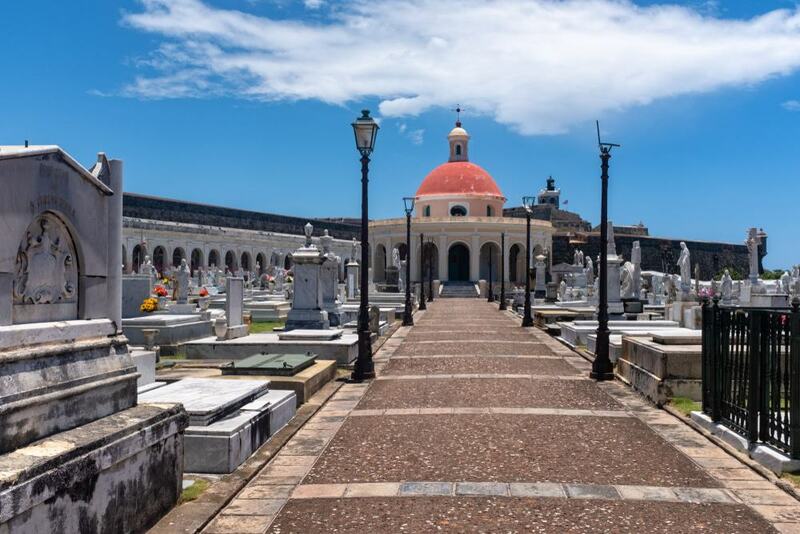 The cemetery is known simply as Old San Juan Cemetery to the locals. The cemetery overlooks the Atlantic Ocean which symbolizes the spirit’s crossing over to the afterlife. At the center of the cemetery is a small chapel. The gravestones are placed very close to each other so one has to walk very carefully. It’s important that you exercise caution while visiting this area since it’s known for petty theft. 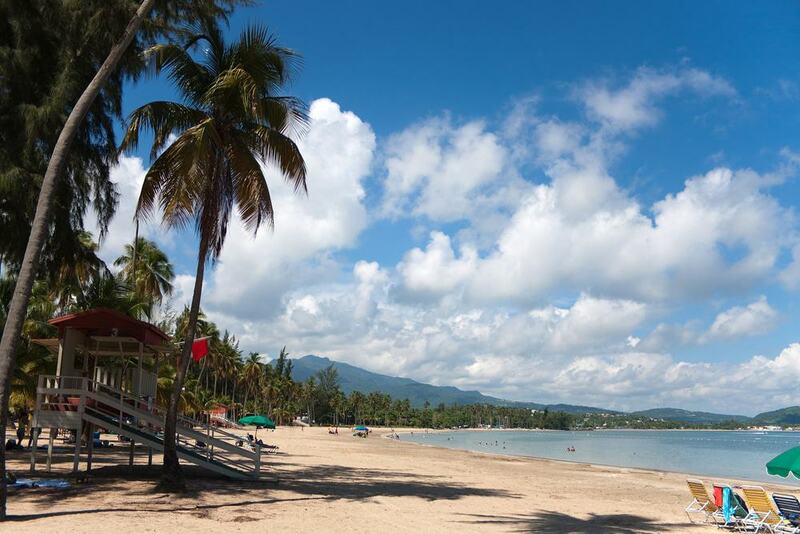 This beach is nestled between the El Yunque Rainforest and the ocean. Its location contributes majorly to the beach’s unique ecology; while visiting this beach, you might run into rare or endangered species such as the leatherback turtle. The beach is just picture perfect. It has fine sand and lots of palm trees that provide shade, with a rainforest backdrop. The Ponce Historic Zone goes by different names such as Ponce Centro, Ponce Tradicional, Distrito Historico, Ponce Historico, and often La Perla del Sur. 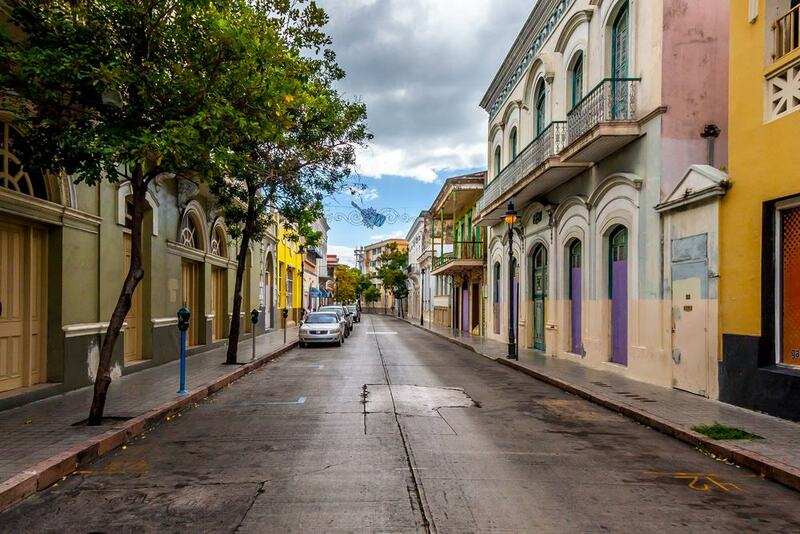 This historic district in the south of San Juan has numerous buildings that date back to the 19th and 20th centuries. The Zone was named in memory of Juan Ponce de Leon’s great-grandson. It is located downtown, approximately 4.8 km from the Caribbean Shore. The magical Isla de Vieques is located about 12 km off the east coast and is home to the brightest bioluminescent bay, Mosquito Bay. The Island is 34 km long and 6 km wide. Anybody visiting San Juan ought to have this Island on their bucket list. 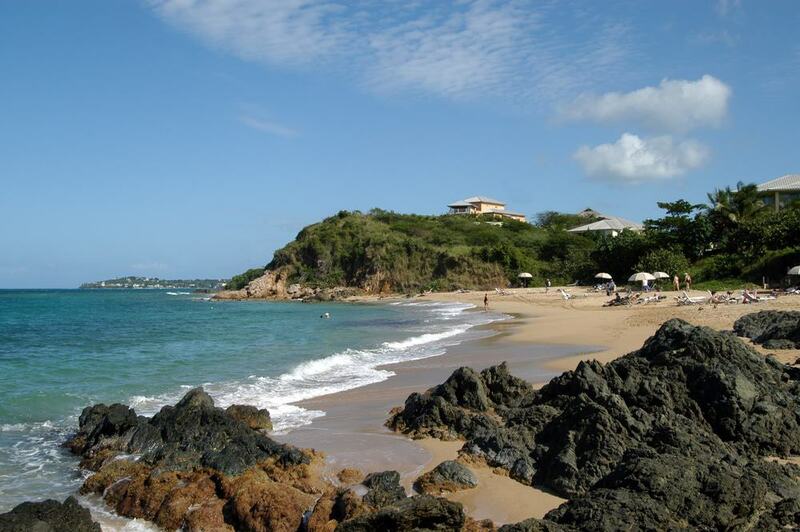 Come to Vieques Island to experience the true meaning of tropical bliss, thanks to its unmatched beauty. Driving on this tiny island is a pleasurable experience since there are no traffic lights; the roads here are narrow. This small treasure is also home to a natural wildlife refuge that covers 3,100 acres of land. It’s part of a group of islands that are referred to as the Spanish Virgin Islands. This rum factory is the largest premium rum distillery across the globe and is among the top tourist attractions in San Juan. It’s located about 1.6 km from the ferry terminal in the Old San Juan. The company was started in 1852 and has deeply contributed to the development of the city throughout its battles with financial crises and natural disasters. The Bacardi family has helped the hometown to rebuild in times of catastrophic disasters and often makes international donations to organizations that give relief aid. The rum is bottled in Jacksonville, Fl. Visits from San Juan to the Bacardi Factory are made using a ferry. 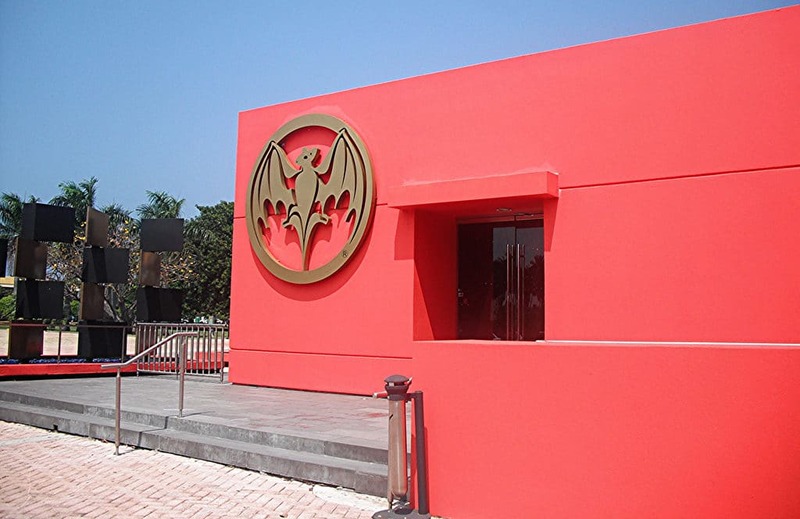 Expect that your tour of the distillery will end with a tasting of Bacardi products. The Gozalandia Waterfall makes for one of the best day trips from San Juan. The Double Waterfalls of Gozalandia, as they’re also called, include the Upper and the Lower Waterfall. These natural beauties have plenty of scenery for you to see, depending on your athleticism and climbing ability. There are trails that you can hike up to get to the upper waterfall, which is quite a distance from the gate. Anyone who is ready for adventure should take a walk on the trails; this will have you feeling like Indiana Jones. The good thing about the trails is that they’re paved.